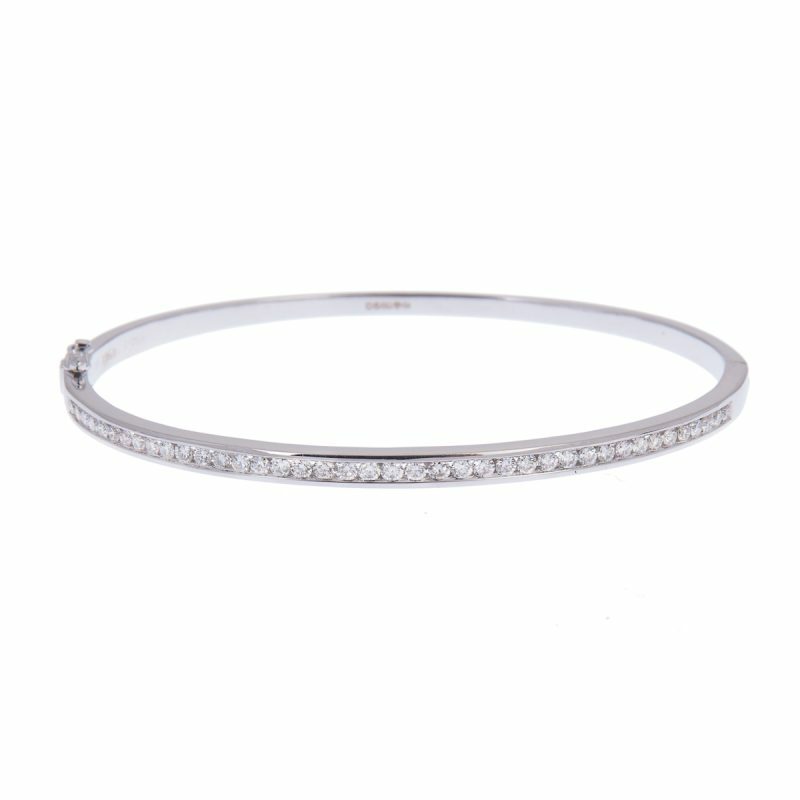 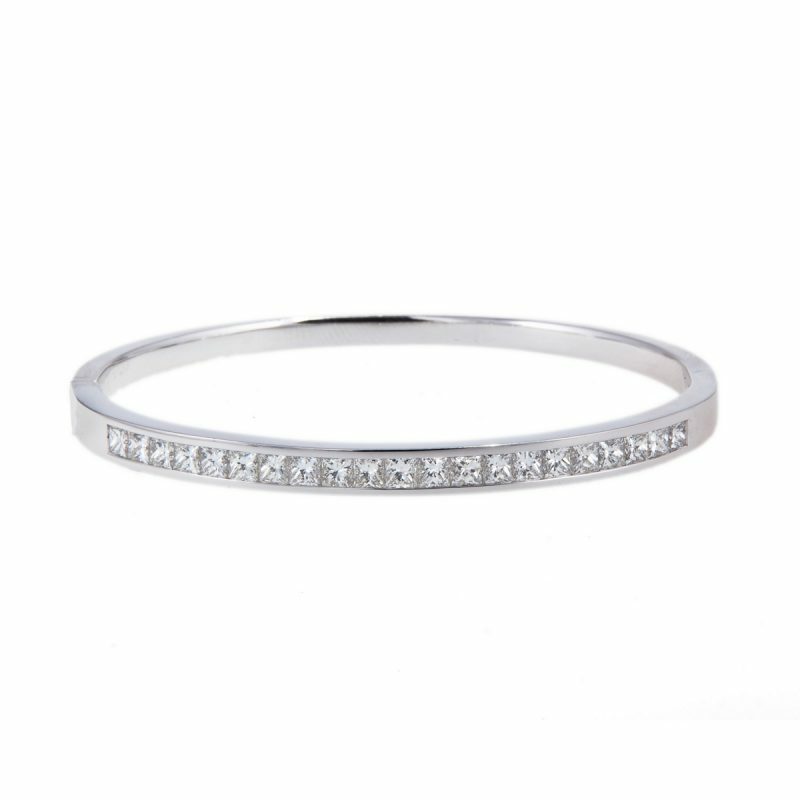 This truly eye catching hinged, diamond bangle is the ultimate in classical sophistication. 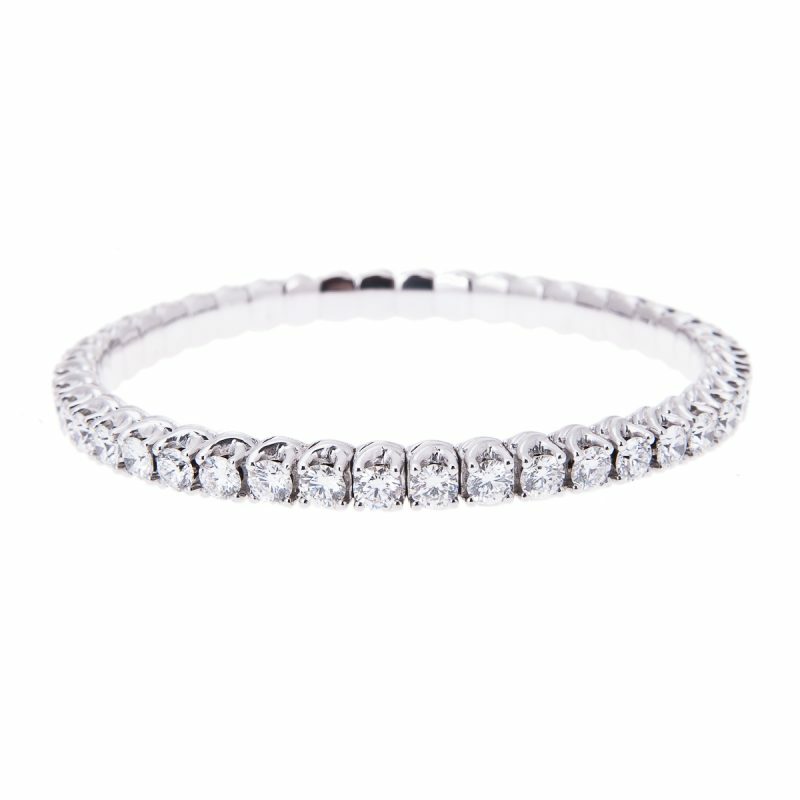 Its head supports a single row of rare white princess cut diamonds that sparkle their brightest against the 18ct white gold channel setting. 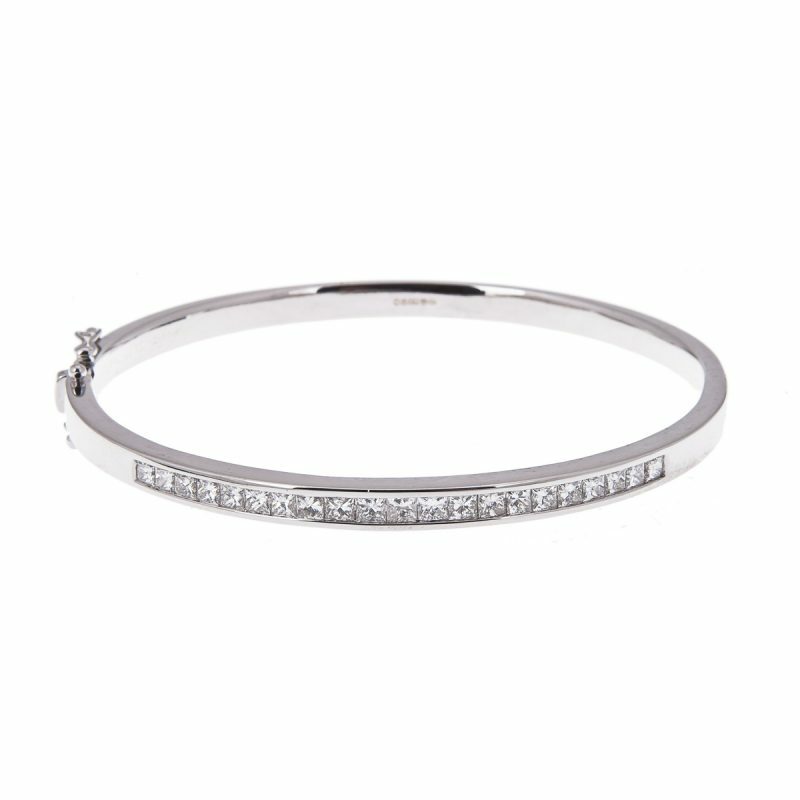 The wearer of this bangle will be the focus of admiring attention and wistful glances.